Halloween Green Pumpkin Escape info about the game-Games2Rule. 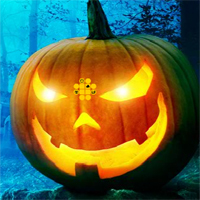 In this game you have to escape a green pumpkin from the halloween forest. For that you have a find the missing things of a witch to rescue the green pumpkin.